Welcome to one of the finest homes you will find in the amazing and extremely sought after community of Green Valley! 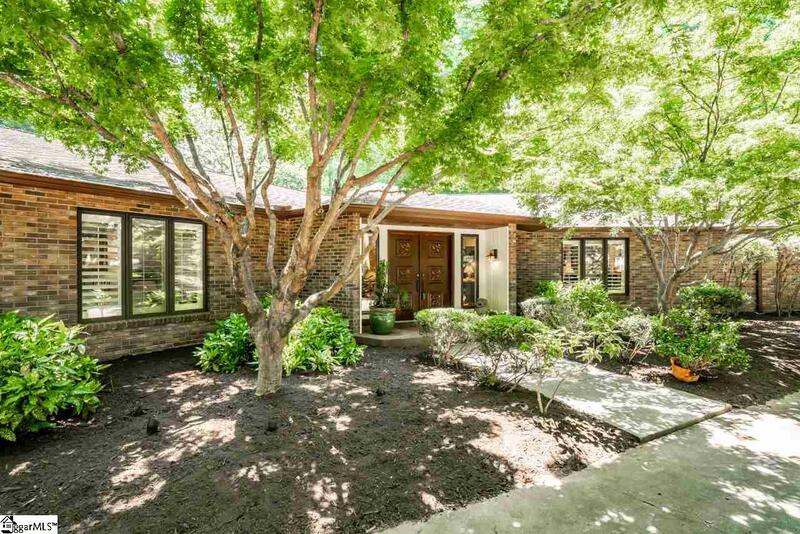 This custom built 1983 contemporary gem sits on a double level lot on hole #10 of the Green Valley golf course! With over 6,300 square feet and four or five bedrooms with six full bathrooms This home truly works for any size family. From this amazing location you can be in downtown Greenville or Travelers Rest in just minutes. The golfing options are amazing as well, Green Valley, The Cliffs and many other options as well! The floorplan is so well thought out by the architect and flows extremely well for family needs or entertainment flow. This home is very open with multiple access points to several exterior Brazilian wood ipe' decks and a patio. The master bedroom suite is fit for the king and queen of the home. Included is a beautiful gas log fireplace, bathroom complete with his and hers bathrooms, walk-in closets, dual vanity areas, a large soaking jetted tub and a separate shower! The floors in this house are absolutely stunning! They are made of fossilized bamboo which is one of the hardest natural wood floors available. There are so many recent renovations which started in 2010, but to just name a few; Architectural Roof, gutters, Pella windows, new custom Cherry cabinets added in the office, 10 solar light tubes which add abundant natural light, custom plantation shutters in all bedroom windows, brand new double ovens, the list goes on and on! 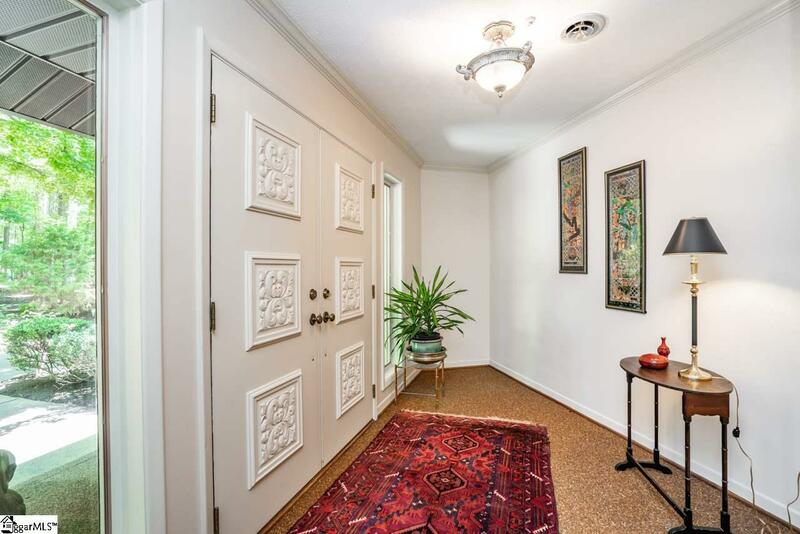 You will love the guest bedroom suites which have nice walk-in closets and newly and fully renovated bathrooms with custom tile walk in showers complete with custom glass door! The laundry room is extremely large and offers an additional work out area. The kitchen is nice and open with a wonderful island which makes the chef of the home happy and even has plenty of room for your breakfast table with direct access to one of the exterior decks. Do not miss the second master suite option which is currently used as a home office with a walk in closet and access to renovated full bath. 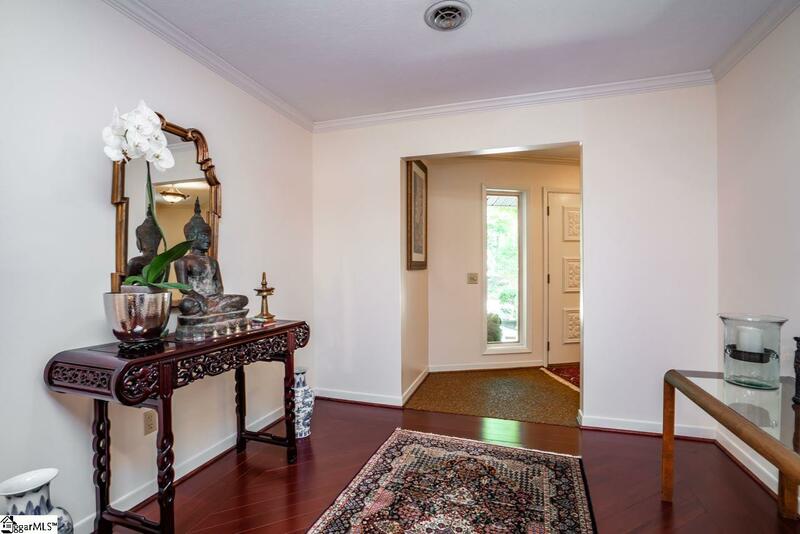 This suite and the additional office off garage both could serve as wonderful "in-law and "Au-pair options as they have separate living spaces and a second kitchen! Did I mention that this home also has a true four car 42 x 23 attached garage?!? 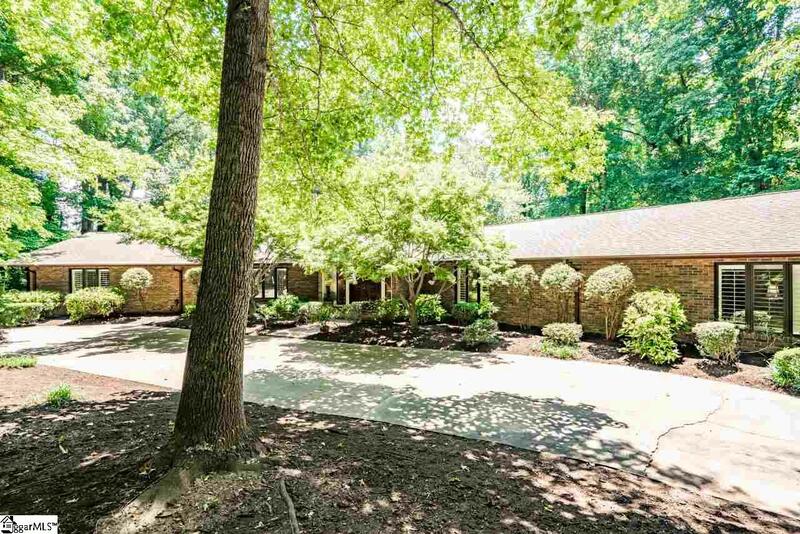 It is hard to believe that you get all of this home on a double lot at almost 2 full acres on a beautiful and challenging private golf course at this price! Come and see this one of a kind home and make it yours today!